Oh Success! The secret longing and sometimes, boldly stated ambition of men. 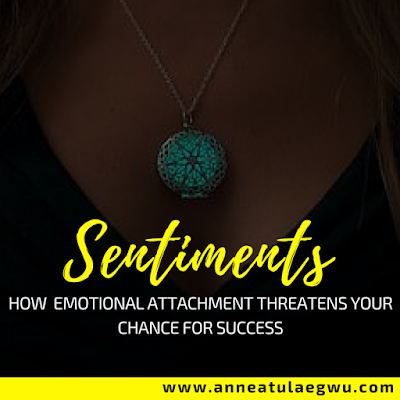 It’s amazing how our longing to succeed on a course could set us up for huge sacrifices but this one thing called “emotional attachment” keeps standing in the way. I recently zoomed in on the life of someone I admire a lot. He was the king of a nation called Judah, in bible times. After a season of reckless fornication (the people worshipping and acknowledging other gods rather than GOD ALMIGHTY), under the leadership of those who didn’t care much about what GOD thought; this friend of mine became King. His name was King Jehoshaphat. So why was God on Judah’s side rather than Israel’s or both? Years ago, God cut covenant with Abraham, the father of Israel and grandfather of Judah. This covenant of blessing and defence amidst other huge benefits had a condition. The descendants of Abraham must walk in the ways of God. That condition was the only criteria for them to enjoy the benefits of the covenant. Years in front, we see the kings of Judah such as Asa and his son Jehoshaphat walking in the ways of God while the kings of Israel, Baasha and Ahab (respectively) walked in the ways of strange gods. My friend Jehoshaphat gained greatly from the Abrahamic covenant. He was powerful, flourishingly wealthy such that he built fortresses and storage cities in Judah and had abundant honour (2 chronicles 17:12, 18:1). It was obvious that His heart took delight in the ways of God as he removed the high places and moulded images from Judah. Ahab happened to be the King of Israel at the time Jehoshaphat was King of Judah. At the start of his reign remember that the first thing he did was that HE STRENGTHENED himself against Israel (2 chronicles 16:1-10). Hence, it is okay if we believed that he did so because he anticipated an attack from Israel as King Baasha did in the days of Asa (Jehoshaphat’s father) right? Wait a minute, do you remember who the mother of that girl was? The famous Queen Jezebel! Did Jehoshaphat forget that the ways of Israel was soaked in service to Baal? Did he forget that even though those nations were close relatives, they were now parallel in their ways? Was he now afraid of Ahab that he needed an alliance? What happened to him? After some more years, my friend Jehoshaphat travelled to Israel to visit King Ahab and his family. They had a great welcome party and Ahab decides to persuasively share his newest ambition with Jehoshaphat. He was going to take back Ramoth-Gilead in a war against Syria and wanted Jehoshaphat to join him (1 kings 22:1-36, 2 chronicles 18:2-3). However, Jehoshaphat was accustomed to doing only that which the Lord approves. Therefore, he requested that they inquire of the Lord. Ahab got his prophets of Baal to prophecy but Jehoshaphat still felt awkward. 1. Ahab wasn’t walking with the Lord: Let’s assume that Jehoshaphat had been blind to the ways of Ahab and his supreme wife, Jezebel. This visit showed that the man had his own prophets and was unwilling to hear from God because he had God’s own prophet locked away in prison (2 Chronicle 18:4-27). Ahab boldly confirmed that he hated God’s prophet by the way. Why didn’t Jehoshaphat change his mind at this point? In a wrap, the war days came and guess what? King Ahab in all his wisdom, perhaps based on Jezebel’s counsel, told my friend Jehoshaphat to dress conspicuously as a King while he dresses as an ordinary soldier. Does anyone else smell cunny betrayal cooked in brutal deception here? Why didn’t Jehoshaphat change his mind at this point again? Amazingly, King Jehoshaphat did as Ahab suggested and the Syrians almost killed him if not FOR GOD’S MERCY (2 Chronicles 18:30-32). Eventually, Ahab got killed despite his disguise because the word of God must come to pass (2 chronicles 18:33-34). Jehoshaphat repented (2 chronicles 19:1-11) but the imprint of his alliance with Ahab lived on. You remember that Jehoshaphat’s son, Jehoram was married to Ahab’s daughter right? Now when Jehoshaphat died and Jehoram became King, He killed all his brothers and the other princes of Israel. As though that wasn’t enough, he joined his wife (Jezebel’s daughter) to worship Baal. In the end, all of Jehoshapaht’s love for God and his efforts to keep Judah in the ways of God was in vain because his son couldn’t sustain it. Sentiments seem like a normal human emotion. It actually is. However, we must realize that it needs to be placed under constant check. Most people marry out of sentiments like “He is my father’s friend’s son, we are from the same village, she graduated from the same university, she is my church member etc. They sometimes don’t look at the big picture like where they are going, their purpose and all that. Another group choose jobs only because of the monthly pay or the “prestige” and what have you. They also don’t stop to first consider the big picture like what they really want out of life, their purpose or calling etc. The other group would never act contrary to their friend’s opinion because they don’t want to lose their alliance, loyalty or allegiance. People go ahead to make commitments to their own detriment just because they don’t want to fall out of the good book of others. If only we knew that one sentimental decision is capable of ruining all we’ve objectively and sacrificially built. Success means different things to a lot of people but I personally believe that success is accomplishing God’s purpose for me on earth. If you happen to share a tiny bit of believe in my idea of success then you need to pay attention to sentiments. God’s purpose for our lives is the ultimate reason why we are on earth. It is the true definition of our personalities and the codes in which our authentic identities are buried. Haven said that, we must realize that the MISSION (purpose or assignment) is more important than our emotions. Therefore, it is wise for us to prioritise that purpose or assignment over everything and everyone else. This might sound mean, but honey that is the “truest” secret of success- prioritising the mission. The phrase “affairs of this life” refers to things that won’t directly or indirectly contribute to achieving the goals of the mission/Assignment! 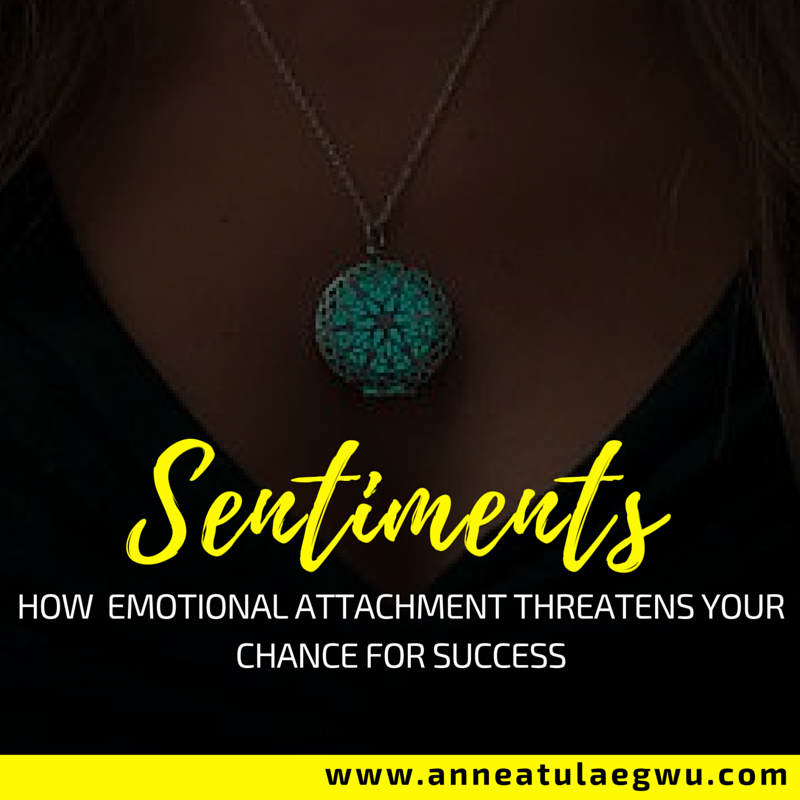 Technically, the primary reason people get entangled is sentiments. They either want to please someone (their selfish self) or another person. Back to the question asked earlier, why didn’t Jehoshaphat change his mind at those points? It was because he was already emotionally attached to Ahab. He was prioritising Ahab’s thoughts, opinions and approval above those of His God and mission- which was to ensure that Judah pleased the Lord. How did he even get to that point where Ahab became that important? In the beginning we saw that he strengthened himself against Israel, meaning he fortified the city of Judah against attacks from Israel, honoured God and greatly enjoyed the benefit of the Abrahamic covenant. So why then did he see any need to give his son in marriage to Ahab? I believe He definitely must have wanted some form of “alliance” with Ahab! Perhaps, time passed too quickly that Jehoshaphat forgot how faithful God had been in the past or he just needed some form of relationship to feel “among” as other kings had alliances too. Whatever the case, it shows that we must pay close attention to our hearts. Anytime you begin to feel like you need to be in a certain circle or gain their approval to be great or achieve a goal; you are no longer trusting God but man. And that baby, is the beginning of unprecedented failure! Remember when he told Ahab that they were one and that their people were one? I really don’t blame him after all Israel and Judah were truly one nation until the division of the Kingdom between Rehoboam and Jeroboam (1 kings 11:11-13, 12:1-33). However, we must be observant to know when God is no longer in a relationship. Even though Israel and Judah were from Abraham, Israel and their Leaders- Ahab and Jezebel were clearly against the Lord. Why would one care about relationship ties more than a people’s stand with God if not for “sentiments”? We must pay close attention to God’s opinion on the relationships we form or allow to stay in our lives. For example, the fact that someone is your pastor or has a reputation of being “highly anointed” or has been born again or is in ministry for 50 hundred years doesn’t mean we have to throw our lives at their feet and hand over the control keys to them. We must know that God is the boss and not any man. So if they ask you to do something and you feel awkward in your spirit about it, You must check with scriptures and seek confirmation from other reliable believers. Don’t assume that because they have a godly history or good record that they are right all the time. God’s not men’s opinion must guide you! Remember the story of the old and young prophet in 1 kings 13? That’s another perfect example of calamity inspired by sentiments. Finally, If Jehoshaphat hadn’t got into that sentimental alignment with Ahab, his MISSION to establish Judah in the ways of God most likely would have been SUCCESSFUL, as his son would not have had the influence of Ahab’s daughter and most likely would have continued in the ways of the Lord. WHAT DECISION ARE YOU ABOUT TO MAKE BASED ON SENTIMENTS? FIRST CONSIDER YOUR LIFE ASSIGNMENT! Thank you for reading sis! May the Lord preserve us.